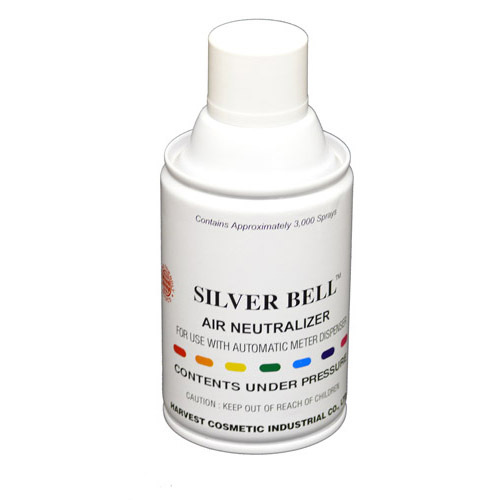 Silver Bell is a long lasting oil based air freshener spray. Approx 3000 sprays per refill. This air neutralizer is available in jasmine, lemon lime, orchard, opium, and passion fragrances. 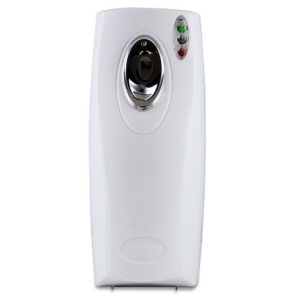 Automatic Air Freshener Dispenser has an adjustable intermittent spray 5-25 minutes. Day, night or 24 hr light sensor modes.